Local officials are looking to wrap an agreement to keep the Toronto Blue Jays‘ spring training in Dunedin, FL, with a key vote expected in November. Work continues to finalize the details of an $81 million project that would keep the Blue Jays in Dunedin. That plan calls for both Florida Auto Exchange Stadium and the team’s training facility, the off-site Englebert Complex, to receive significant upgrades. Dunedin’s contribution would be $5.6 million, with the State of Florida pitching in $13.7 million, the county contributing $41.7 million in bed taxes, and the team paying $20 million. Dunedin Mayor Julie Ward Bujalski said she is confident the deal will be reached by November but said the process is being waded through delicately to protect the taxpayers. “It is a very complex document to work through and it takes as much time as it takes to ensure our residents are protected, and that’s what we’ve been doing,” Bujalski said. The City Commission approved conceptual details last week that would lock in the following: 15 major league games each year; the Blue Jays paying the first $150,000 of the property tax bills with the city and the team splitting the balance; the city covering the estimated $150,000 annual property insurance; and the team covering liability insurance and all maintenance and operational personnel costs. 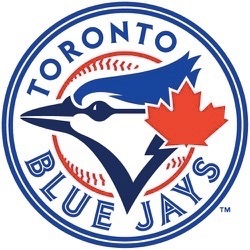 The Blue Jays have a long tradition in Dunedin, as the team has trained there since its inaugural season in 1977. Florida Auto Exchange Stadium is also the home of the Dunedin Blue Jays (High A; Florida State League).